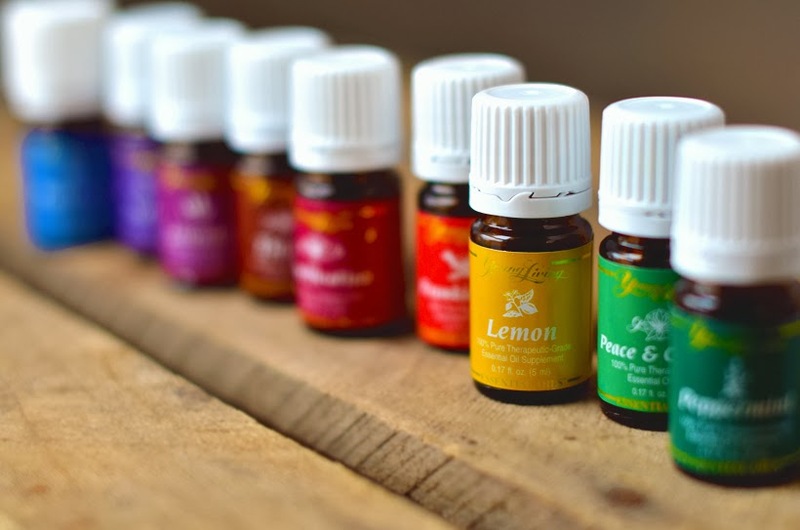 If you clicked here, it means that you are probably interested in trying essential oils. I have spent a few months researching different essential oil companies and found the best quality and customer service in Young Living. You can get them for 24% discount (wholesale pricing) when you enroll as a Wholesale Member. If you enroll as a customer, you will pay full retail prices. As a Member you will get access to wholesale pricing and a discounted starter kit (this is the only way to get the kit). When you enroll as a Member, you are becoming a member of a discount club, it’s similar to being in a buying club like CostCo, Sam’s Club etc. Although this type of account is sometimes referred as “Distributor Account”, there is absolute no obligation to become a distributor of the product. You don’t even have any monthly minimums like lots of clubs or distributor based companies have. To keep your Member account active, you only need to spend $50 worth of products a year; in my experience, most Members spend more than that with their first purchase – there, you’re set for the whole year! Once you experience the oils, your friends and family might want to try them too. If you decide to share them with others, this gives you an opportunity to earn commissions. But that is up to you. If you do not want to have anything to do with the distributing side, you can always refer your friends to this page. I can help them with any questions and setting a new account. If you’re ready to start, click on this enrollment form (if the page isn’t loading, try this link). Make sure that you select Wholesale Member. Check that number 2422698 appears in both Sponsor ID and Enroller ID boxes (if not, please type it in). If you don’t enroll with my number, I won’t be able to give you access to my support and help you with questions or training how to use the products. STEP 1 – fill out your personal information and set your account username and pin. STEP 2 – select your starter kit. I recommend the Premium Starter Kit, because that is the only one that gets you 11 oils (!!! ), diffuser AND samples of oils and Ningxia Red, plus educational materials to start with. Hands down best value. You can choose between home diffuser kit and bamboo diffuser kit (that one is $10 more expensive, but the bamboo diffuser is a looker:). STEP 3 – Essential Rewards… you can skip this step for now, although I’m sure you will want to read on about it a bit later. Essential Rewards are a way to earn free oils and products 🙂 Some basic information is right here. With your first order, you are already getting so much! But you can still add other products to your order. You will have a chance to review everything before finalizing your purchase. To learn how to start with your brand new box of oils, I will be here for any questions and as a support. I can also add you to a private FaceBook group, where oil users share their tips, recipes and more. You can search, ask questions and interact as much or as little as you wish to. Here is also access to a free Essential Oil Starter Guide. So what are you getting in the Premium Starter Kit again? The whole Everyday Oils Collection (10 oils, as a collection available for $170.72). Home diffuser (separately sold for $83.88) or Bamboo diffuser ($111.51). Bottle of Citrus Fresh blend. Samples of Lavender, Peppermint, Lemon, Thieves and Peace & Calming oils. 2 samples of Ningxia Red drink. 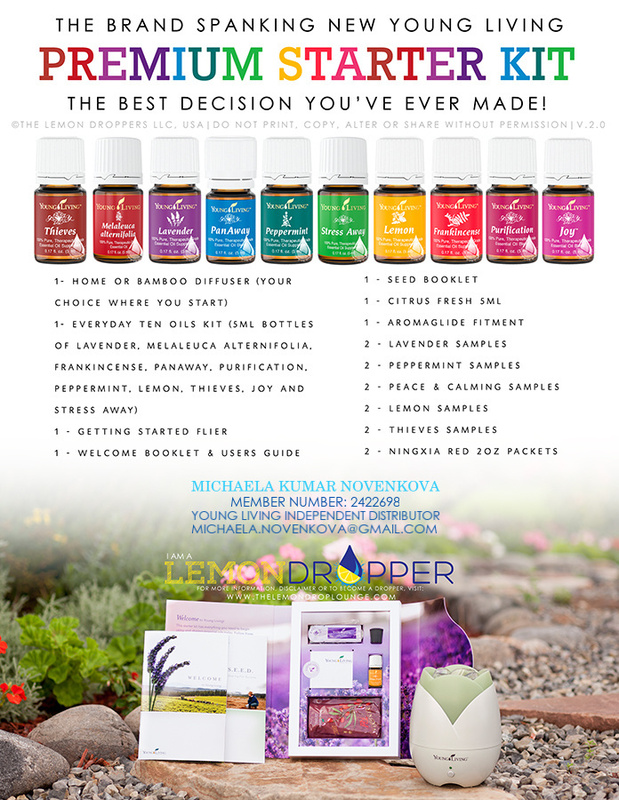 Brochures with information about the oils in your kit, Young Living company and more. This all for $150 is a great value, but you can’t possibly put a price on the way this kit alone can change your life, health and values. If you feel more attracted to the other options of Premium Starter Kits, you can choose the NingXia Red & NingXia Nitro kit or Thieves kit (with amazing cleaning and personal hygiene products). When you’re done setting up your account, adding other products besides the Starter Kit (if you wish to), you will need to confirm your payment, then you will receive a confirmation email. Congratulations, now sit back and wait for the little box of wonder! NEW Premium Starter Kit has a few new oils, even more exciting than the last version! Also check out all the new diffusers you can add to your kit. « Is My Baby Right-handed or Left-handed? Is Laterality Strictly Hand-related?